Knicks GM Scott Perry will represent the team at the draft lottery next Tuesday, Steve Mills said on MSG Network. "I'm counting on him (to bring the Knicks luck)." NYK has a 6.2 percent chance of moving into the Top-3. so what seed do we need to get in order to have this nykfp live at the draft event? So when we win the lottery... Ayton? Is that the consensus? I still lean to Doncic, but would let my scouts talk me out of it, if they all think Ayton is the guy you can't pass up (which is my feeling with Doncic). H20Knick wrote: So when we win the lottery... Ayton? Is that the consensus? Ayton's a stud and possible future HOFer, but he'll struggle with the lack of playmakers on this team (that is including Burke, who is our most purest of PGs on the roster, but isn't a decent starting talent). If we got number 1 you definitely go with Ayton who has literally no question marks aside from his desire to be truly great. A slacking Ayton is still a dominant C for the next 12 yrs. nazrmohamed wrote: If we got number 1 you definitely go with Ayton who has literally no question marks aside from his desire to be truly great. A slacking Ayton is still a dominant C for the next 12 yrs. That's 'cuz you want to return to the days of a Twin Tower offense where the PGs sit on the perimeter and feed the ball in the post..........I'm not. This is a P&R NBA now, and even though I still prefer my bigs to have a back-to-the-basket game.......the NBA's current rules and the modern-style NBA defenses prevent a "low-post dominant offense" from being effective at a high level. 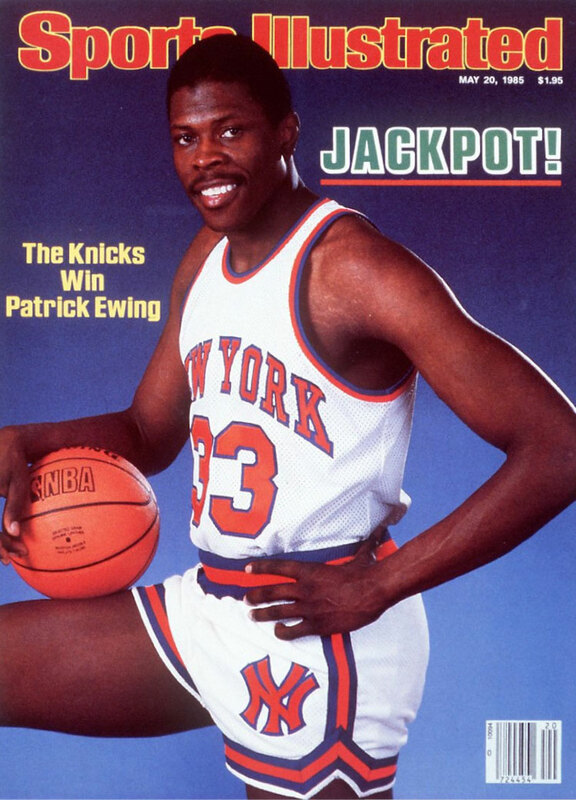 I would welcome Ayton with open arms alongside KP, but if you were to tell me that I had a choice between an incredible perimeter wing playmaker that can define the team's offense and fit the modern-day NBA to a two-way big man threat in the old style of Ewing, Hakeem, etc. I'm most likely gonna pick the wing playmaker with the current Knicks roster. That being said let's say the Knicks don't believe KP is not part of our future plans going forward (I can hear the agony of some people on this site as I typed that), then I would 100% pick up Ayton as the #1 pick EASILY. 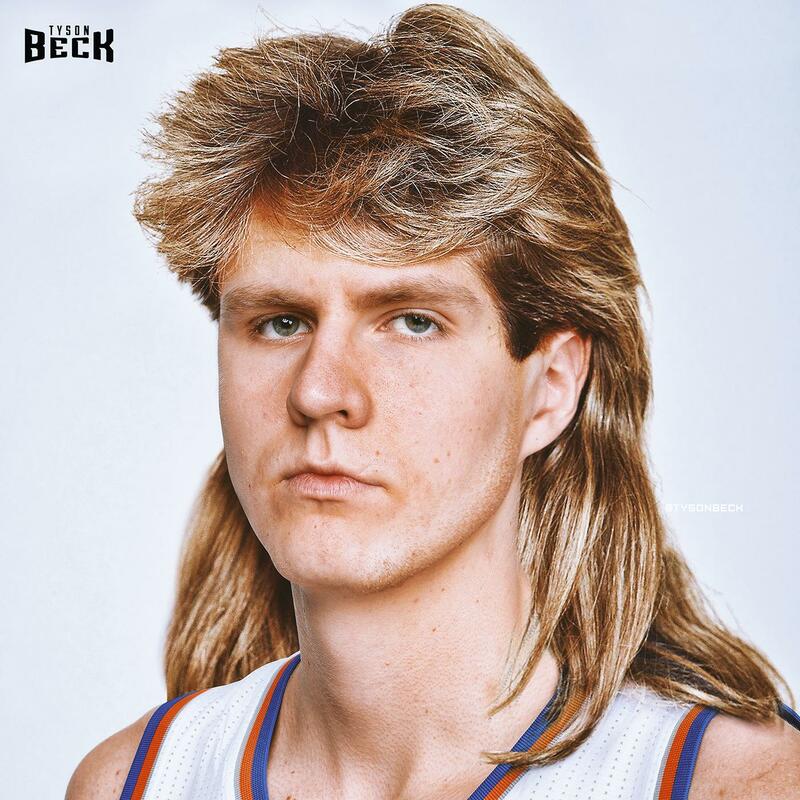 With KP, even with concerns of how he will be "post-ACL injury", I would hesitate on picking Ayton over a future elite playmaker in Doncic........since a guy like KP would need a Doncic-style playmaker to thrive. But if going forward KP is not even a factor for the future, Ayton all the way as the replacement. Oh jeez, he's actually a mediocre shot blocker at 7 feet tall?! So he's basically just a Brook Lopez clone then? That'd a lazy assessment of how I feel but its not totally untrue so whatever. And I would like a perimeter to play exceptional man to man defense. Dont let me catch you supporting Wendell Carter, big-j. Sometime today some balls will be drawn to determine draft order and the Knicks need a miracle. i think everyone will be happy if we get the 1st or 2nd pick and end up with ayton or doncic... but boy its going to be a shitshow on this forum if we're at 3 picking between bagley, jjj and mpj. No consensus will be had and whoever is picked better be better than the other 2 guys from the jump or he's going to get shat on on this board for the next 4 years. these are the only debates im interested in having today. because we wont fall any farther than 3. If we move up to first overall I would take DeAndre Ayton and not hesitant in doing so. He can score, rebound, block shots, and has decent range on his shooting as well. As long as he stays healthy and works hard he should have a good career. I think he offers a high floor as well as a high ceiling. He would also fit nicely next to KP. I can see the appeal of Luka Doncic, he has a well rounded skill set, can shoot and make plays, and can slot in at PG-SF. I think he can be a good player for a lot of years but he will need to adapt to make up for his athleticism, quickness and questionable defense. Either selection would see us land a good player and hopefully a long term running mate for KP. Get a 1st and trade Ayton for a future 1st and a chance to draft Doncic or MPJ.. That's it.. If we get a 3rd pick then draft Doncic or MPJ if Luka is not there..
We should look how BOS took Tatum + a pick instead of Fultz..
i'm not sure i'd do it. But i'd be very intrigued.